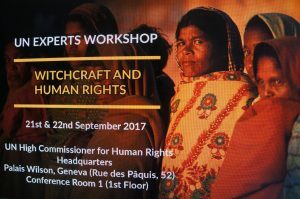 On September 21st and 22nd 2017, WHRIN, together with the UN Independent Expert on Albinism and Lancaster University, organised the first ever UN Expert Workshop on Witchcraft and Human Rights at the UN Human Rights Council. Co-organizers for the event were the UN Special Representative of the Secretary General on Violence Against Children, and the Special Rapporteur on violence against women, its causes and consequences, Special Rapporteur on extrajudicial, summary or arbitrary executions, and the Special Rapporteur on the rights of persons with disabilities. 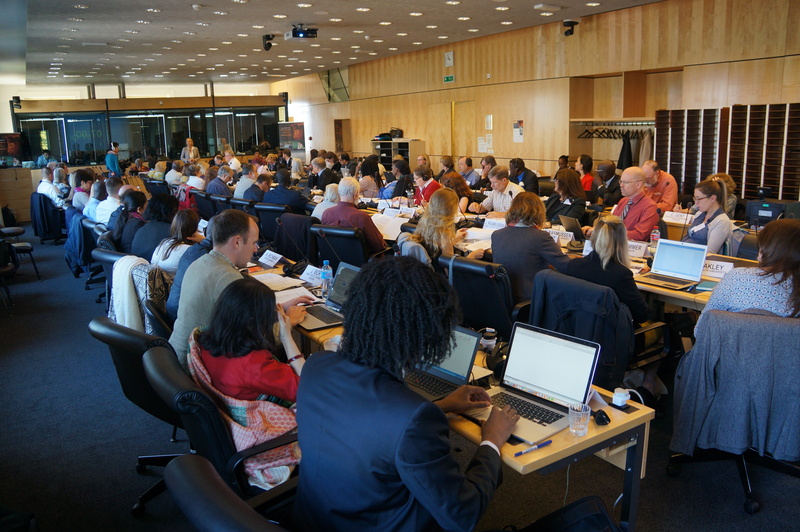 The workshop was ground-breaking and the first of its kind at the UN or international level. It brought together UN Experts, academics and members of civil society to discuss the violence associated with such beliefs and practices and groups that are particularly vulnerable. The event highlighted the various manifestations of witchcraft beliefs and practice, including accusations, stigma, and ritual killings, before identifying good practice in combating such practices. The event marked an important step towards mainstreaming the issue into the UN Human Rights system, whilst providing impetus and practical guidance to the numerous international and regional mechanisms, academics and civil society actors that have been working to raise awareness and understanding of these challenging issues. Whilst the workshop marked an important step in the fight to prevent more human rights abuses taking places due to beliefs in witchcraft, it is important that we use it as a springboard to TAKE MORE ACTION and keep the momentum up behind the movement that our network is creating. Please click HERE to see how WHRIN intends to support this happening. Preliminary Findings – A presentation of the preliminary findings from the workshop can be found here. A full report on the findings from the workshop will be compiled and submitted to the UN Human Rights Council by early 2018. WHRIN will look to update the network on progress here. Photos – A slideshow of the photos of the event can be found here. With sincere thanks to Don Sawatsky from Under the Same Sun.